Write in ALL CAPS to translate into W D Gaster's language. You can also paste Wingdings symbols directly into the Wingdings box. Best viewed on laptop or desktop. 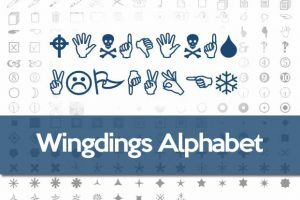 Wingdings Translator is a free tool that enables you to translate sentences and text to and from Wingdings. 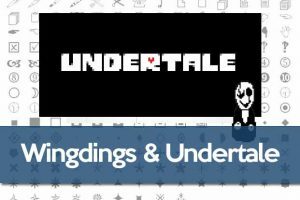 To translate Wingdings text into normal text, copy and paste your Wingdings text into the Wingdings text box. To translate normal text into Wingdings, paste or write any text and see how it is automatically translated into Wingdings font on the second box. To read Wingdings, use the Wingdings Translator tool on this page as a Wingdings decoder, and instantly translate it to English/Plain text. 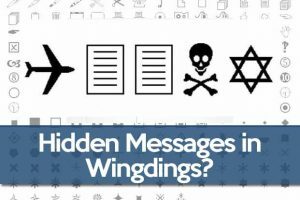 The English to Wingdings Converter is free to use and always available online. Wingdings Translator Online Copyright © 2019.